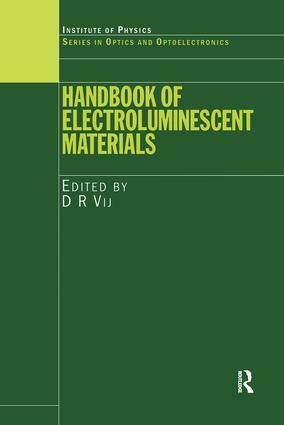 The Handbook of Electroluminescent Materials begins with a chapter that outlines the basic physical principles of electroluminescence. The following chapters review in detail the preparation methods, physicochemical structures, characterization, and applications of all classes of EL materials, ranging from the traditional materials already in common usage to the more exotic materials, such as GaN and organics. The final chapter compares and contrasts these different materials in various application contexts.